Find The Fairfax at Embassy Row, Washington, D.C. deals, discounts and special offers. Located in the heart of DC at Dupont Circle, the Fairfax is home to the storied Jockey Club restaurant. 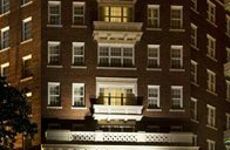 Deals for The Fairfax at Embassy Row, Washington, D.C.